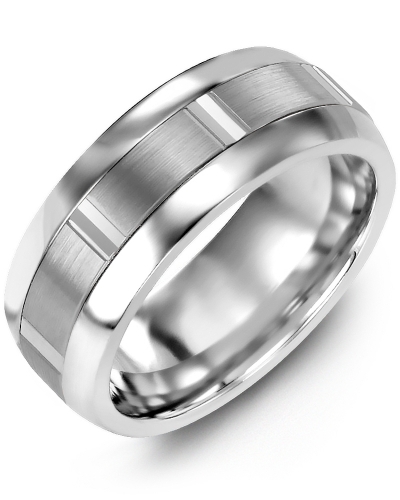 MFN - Brushed Vertical Accents Wedding Ring A modern twist on the traditional wedding band, this Brushed Wedding Ring with Vertical Diamond Cut Detail will make a striking addition to your jewellery collection. 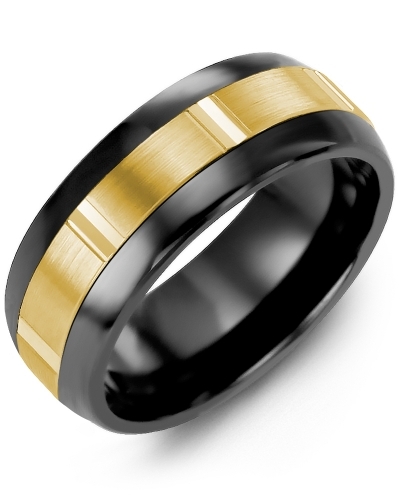 Perfect for contemporary brides and grooms, it is available as a ceramic ring, a tungsten ring or a cobalt ring, and it can be personalised with engraving to create a one-of-a-kind piece. A modern twist on the traditional wedding band, this Brushed Wedding Ring with Vertical Diamond Cut Detail will make a striking addition to your jewellery collection. 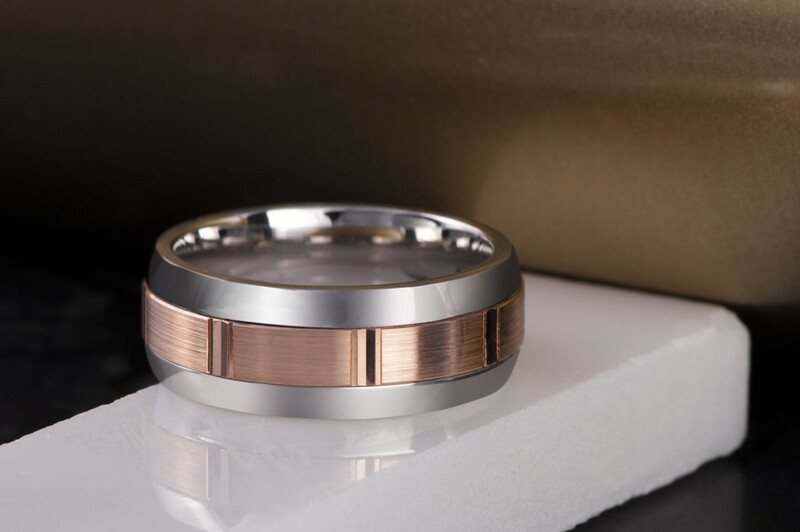 Perfect for contemporary brides and grooms, it is available as a ceramic ring, a tungsten ring or a cobalt ring, and it can be personalised with engraving to create a one-of-a-kind piece.